I love the anticipation of Christmas Day! A day focused on our Savior, spending time with family, exchanging gifts, AND absolutely fabulous food. No wonder we all still feel giddy like children when waiting for Christmas to arrive. Even though we love Christmas, you’re probably still a little bit stressed about all the preparations like me (if you’re not, DO share your secrets on how you’re so chill!) Well, you at least won’t have to stress about what you’re making for breakfast on Christmas morning… or every breakfast for the rest of the year! 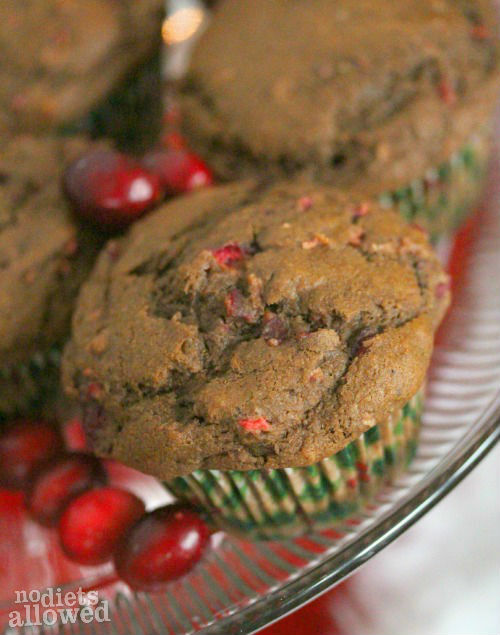 You and your family are going to quickly become addicted to these Chocolate Cranberry Muffins! Yes… the batter is incredible. I may or may not have eaten a whole spoonful. Remember my confession of not liking chocolate (I know… I know…)? Well, I think I’m being converted with this organic cocoa powder. I do love everything about the ingredients (organic cocoa from Dominican Republic), BUT that’s not the only thing I’m loving. Other cocoa powders taste almost bitter and burnt to me. 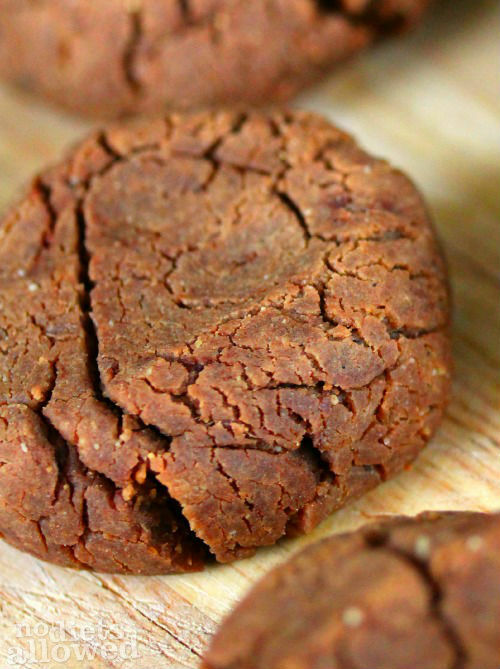 This cocoa powder is rich, creamy, and not overpowering. Need a neighbor Christmas gift or a hostess gift? Make a gift basket with a few ingredients (organic cocoa powder, whole wheat pastry flour, and fresh cranberries) AND add a copy of this recipe. 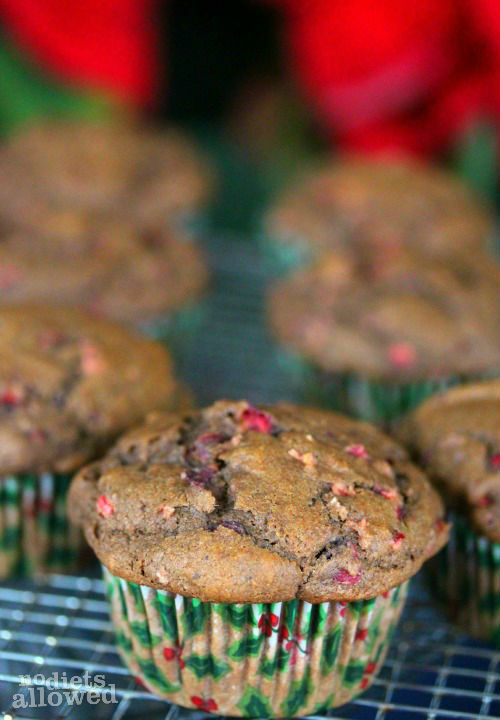 Quick, simple, and they’ll love you for introducing you to these cranberry chocolate muffins. In a large mixing bowl, combine flour, baking powder, baking soda, cocoa powder, and salt. In a separate medium-sized bowl, whisk together applesauce, honey/agave, olive oil, milk, and vanilla. Pour wet ingredients into the dry ingredients and stir just until combined. 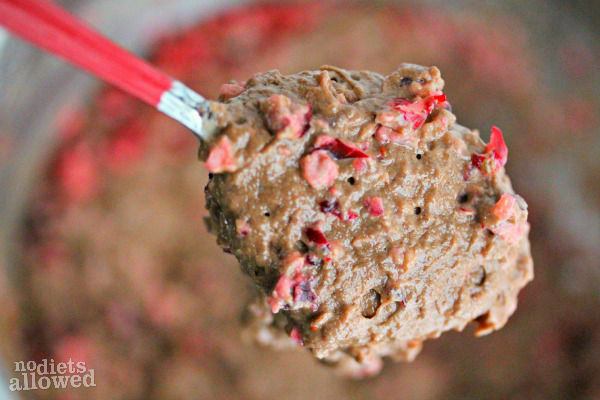 Put cranberries in Vitamix blender and pulse on low level until coarsely chopped. 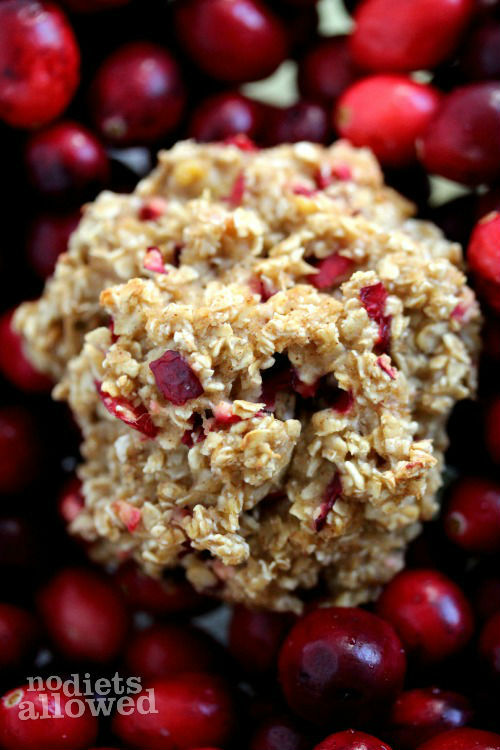 Add to batter and fold in cranberries. Fill lightly greased muffin pan with about 1/4 cup mixture. Bake for 17-20 minutes or until the tops easily bounce back when slightly pressing down center. The inside will be moist and pure goodness! 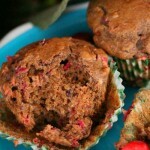 Need some more ideas using fresh cranberries or organic cocoa powder? You know I’m watching out for you! Kami these look so perfect! With a batter that beautiful, they’re sure to be winners. YUM! Thanks, Holly! The batter is to die over. Oh yum! This looks DELICIOUS! I am loving the whole wheat pastry flour too – I recently stocked up on that in the bulk section of my health food store. Good stuff indeed. Thanks for another great recipe! PINNING! I can’t bake with any other flour, Yvonne! LOVE whole wheat pastry flour. These look so good! Can’t wait to try them. Great job on Studio 5, by the way!